The scents and spices of the Levant waft from the doors of CERU on Bute Street in South Kensington, just a shout away from the District Line tube, and close to the Royal Albert Hall, the area’s major museums, as well as the shops of Chelsea and Knightsbridge. Open daily, we serve brunch, lunch, dinner and cocktails, as well as stunning Levantine wines and fresh homemade lemonades. The restaurant seats more than 40, with al fresco dining for ten also available. 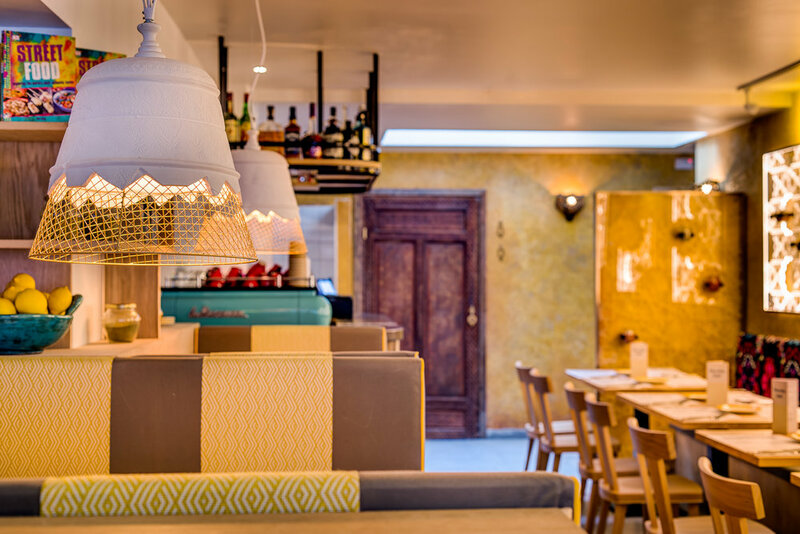 Our menu of big flavours and small plates distils all the zest and spice of Levantine life across the eastern Mediterranean, making CERU the perfect diners’ destination in London’s most cosmopolitan areas. Bookings are not essential and walk-ins are always welcome, but if you would like to reserve a table please call us on 020 3195 3001 send an email to southken@cerurestaurants.com or use the form below. For bookings larger than 4 people, please contact us directly via phone or email.